Protecting your tablets, phones, computers and other gadgets from theft and hackers should always be a priority, in order to prevent your personal data and information falling into the wrong hands. Up to 2.5 billion mark has been estimated for smartphone users worldwide according to statistics, as such poses a great risk for hackers to hack anyone's device that's not properly secured. If you do have an Android device, you definitely need to protect your phone with the best security android app available. Below are some of the top security apps which can protect your Android phone from hackers and viruses. The kaspersky Lab is one of the top leading names in software security around the world. Founded in 1997, it's headquarters is Located in Moscow and has more than 300 million users across the globe. The kaspersky android app is available for free download on Google Play Store, but consists of in-app purchases to get the most out of it( security benefits). Despite not being all free, it's actually worth every purchase due it's several security functions which protect your Android phone from malware, thefts, viruses and other good features. It also offers a cloud protection to save your important data. You can also log on to their website to know more about the app, it's features, reviews, requirements and others. Apart from mobile security, Glympse also takes care of your personal safety. The app allows you to track down your phone and also let friends/others know your exact location by GPS location sharing and also available for free on Google Play Store. Glympse let's you choose the duration of time you want to share a particular location, allows the recipient to know your time of arrival so that you are connected always to your family and friends when you travel alone. The app doesn't need a sign up or log in to a social network account to share your location, and shares your location for a short period of time. You can also visit their website for more. Your location can be shared from anywhere with a data and GPS connectivity. This app isn't free as it needs to be purchased, but offers a 2 week trial version of the app which is free for download on Google Play Store. It offers a complete device and Internet protection for your smartphone. The BullGuard Mobile Security is a powerful security app which gives you a live update of the data stored on the cloud and also protects your phone against viruses. It has very good features which includes a smart anti theft feature which can lock your device should in case someone tries to change the SIM. It also let's you use its remote anti theft device to lock your device and also wipe all data if your phone gets lost or stolen. One of the best feature it has is an effective malware sweeper that scans and removes any malware on your device which might harm your data. Visit their website to know more about their various security apps for your phone. This app is a wonderful security app which of free for download on Google Play Store and also protects 3 devices from one account. Unlike any other app, Prey offers a 100% free of charge service without any in app purchases. It is available for both iOS and Android and let's you keep a track of all your digital devices. Prey Anti Theft allows you locate your phone through Wi-Fi and GPS and pinpointing it's exact location as well as includes an anti-theft system which doubles as a universal remote controller for all your devices. It let's you display alert messages, trigger alarms, and lock your phone even if the phone is kept on silent mode. You can visit their website for more details on their upgrade plans and other additional features. Though this app helps protect your identity online, there are other several ways to protect your identity offline from scammers and criminals. 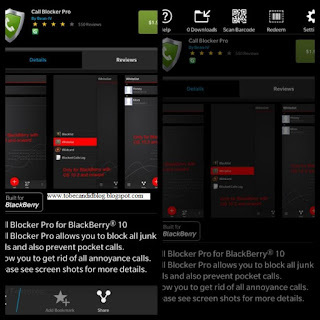 This app includes Internet security, anti virus and protects your sensitive data from sneaky identity thieves. It is also available in many versions(free, trial and paid) for iOS and Android. It has additional features which includes a highly effective spyware and maleware protection that scans your device for any malicious software, hence protecting your data. It let's you block any suspicious phone numbers from calling or texting you and alerts you of any untrusted or infected websites. Visit their website to know more about their other security software and apps for home and business uses.